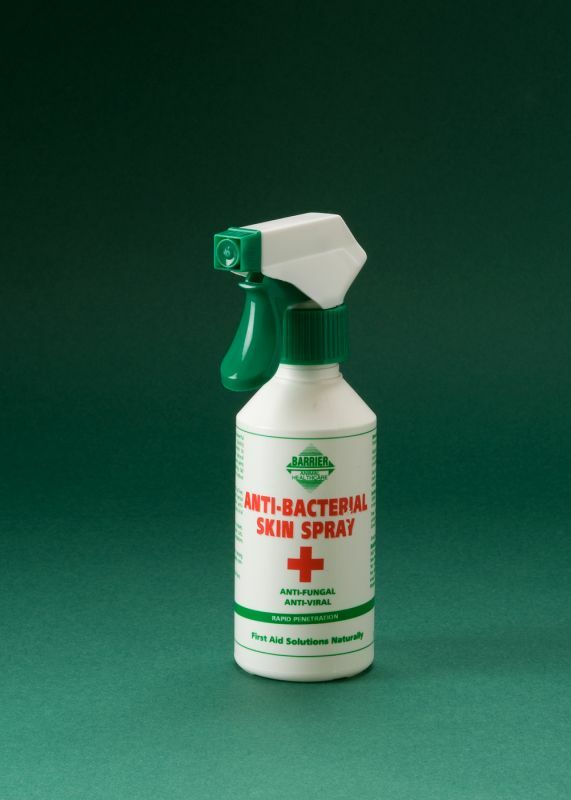 Anti-bacterial Skin Spray is suitable for use on all animals and is an ideal addition to your first-aid box. It is suitable to use directly onto minor cuts, grazes, scabs and red areas. Quickly absorbed into the skin, it works to ensure ideal conditions for natural healing. Use only as a temporary measure on small cuts. Insect Bites and Summer Allergies : Anti-Bacterial Skin Spray stops the need to rub almost immediately. Apply to areas affected by Sweet Itch to soothe and calm irritation.